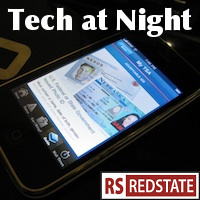 Tech at Night: SOPA and PROTECT IP: Bad bills. FCC Subsidies march on. Had enough SOPA yet? Too bad. Ignore my Piracy/Privacy typo and read my overview of the issue over at the Daily Caller. In theory I will be there weekly now, writing about tech issues. Don’t worry though; I’ve scheduled it with them so I write for them and for Tech at Night on different nights, so I won’t burn out or anything. And if yu think I’m going on a bit much, wait until you see Ron Wyden’s filibuster of PROTECT IP, the Senate counterpart to the House’s SOPA. The Senate bill is being pushed as having bipartisan support, though note that in the House there’s growing, strong bipartisan opposition. Also, at least one industry group has dropped support for SOPA. The BSA has changed its mind, realizing what I’ve said, that the tradeoff just doesn’t make sense. Oh, and I’m not the only one who remembers that the Internet routes around censorship. A loose, distributed, global network is not going to be controlled by the US Congress, sorry. Yes, we still need strong enforcement and harsh criminal penalties against online attacks. Prosecution, not regulation, is the answer. This is crime. FCC makes official its new Internet subsidies as the Connect America Fund is now ordered to replace the Universal Service Fund. Taking subsidy money from rural phone carriers and giving it to some ISPs. Whee. Let’s call the whole thing off, I say.